During the setup, choose Examples from the list of components. After the installation, you can find the examples on your hard disk. [Please insert your Windows username for USERNAME]. 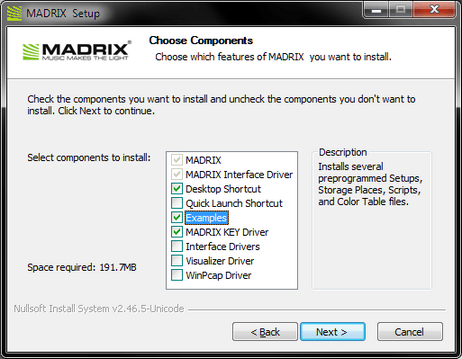 MADRIX uses a variety of different kinds of files.